Shades of Nazi Germany, Soviet Russia, and Communist China–all here in the supposedly “free” U. S. of A.
Paul was waiting in Athens for Silas and Timothy and saw that the city was wholly given over to idolatry. At first, he taught the Jews in the synagogue on the Sabbath, but he also spoke daily to the Greeks in the marketplace. Some of the Epicurean and Stoic philosophers heard about his teachings which were strange to them, especially the idea of the resurrection, so they brought him to the Areopagus or Mars Hill and asked him to speak there. When Paul mentioned the resurrection, some of them laughed at him. Others said, “We will hear you again on this matter.” This was basically saying, “What you teach is interesting. We really do not think that it is anything important, but we like telling or hearing new things, so we must listen to you again some time.” So Paul left them. However, a few individuals believed, including Dionysius the Areopagite, a woman named Damaris, and some others. For whom was Paul waiting in Athens? Where could Paul be found daily speaking with people? What were the Epicureans and Stoics? Where did they take Paul? What inscription was on an altar which Paul had noticed? Paul said that God commands all men everywhere to do what? Why did some people laugh at Paul? Did anyone in Athens accept Paul’s message? “Let us go into His tabernacle; let us worship at His footstool” (Psalm 132.7). David loved to be in God’s house. Sometimes people who are supposed to be Christians try to give themselves excuses for not being more faithful in their attendance at church services by saying, “I just don’t get very much out of the services. The sermons are all on subjects that I’ve heard before. The Bible class teachers discuss books and topics that I’ve already studied. Even the song leaders choose the same old songs over and over again.” Of course, if the preacher talked about the exact same passage of scripture every Sunday, the Bible classes stayed in the same Bible book all the time, and we sang nothing but “Holy, Holy, Holy” at each service, it would get a little boring, but is that really the problem? Many years ago, before the days of indoor plumbing, there were two neighbors in a small village who went to the town well every day to draw water for their homes. One always came with a big bucket while the other brought only a small pail. One day, the fellow with the small pail acted rather disgusted and said, “I think that I’m going to quit coming to the well every day. I just don’t seem to be getting very much out of it!” Think! Who do you suppose got more out of the well? The one who used the big bucket, or the one who had the small pail? Why is it that two people can attend the same service and one find it satisfying while the other “didn’t get much out of it”? Could it be perhaps that they came with different sized buckets? The first loves to praise God, loves to study the Bible, and loves to hear God’s word proclaimed. The second apparently just does not delight on those things, and so he “doesn’t get much out of it.” To be honest, I have sat through a few services when the class was taught by someone who was an unprepared, last-minute substitute, the song leader did the best that he could but did not know music very well, and/or the lesson was presented by a young man who was struggling through one of his first attempts to preach. However, I still got something out of it! Besides, we do not, or should not, attend church services simply because of what we can “get out of it.” There is also the matter of what we can give to others. Our very presence is a means of “exhorting one another” (Hebrews 10:25). By joining in the singing, we are “teaching and admonishing one another” (Colossians 3:16). Also, of course, each Christian has a responsibility before God to “worship Him in spirit and truth” (John 4:24). Yes, we may worship as individuals in private and as families in our homes, but there are times when God commands the church to come together for edification (1 Corinthians 14:23-26). In addition, if you find that you can do such a better job of teaching the class, or leading the singing, or presenting the lesson than someone else, then by all means volunteer! Those who actually give something usually find that they often get as much as if not more than they themselves give. And there is one other consideration regarding the claim that “I just don’t get much out of the services.” I have heard the late Cecil Willis tell this story and I think that I have seen it in an article that he wrote. He was holding a gospel meeting, and at every service there was an elderly gentleman present who was blind and almost deaf. I believe that it was on the last evening Cecil, almost yelling into the man’s ear, said he knew that being blind the man could not see the chalk board and being almost deaf he could hear very little so he could not get much out of the services. Thus Cecil asked him why he bothered to come. The man replied, “So everyone will know whose side I’m on.” That is one good reason for a Christian to be at every service possible. “He who is not with Me is against Me, and he who does not gather with Me scatters abroad” (Matthew 12:30). One thing we always sought to do in our homeschooling was to encourage our children to delight in going to worship. 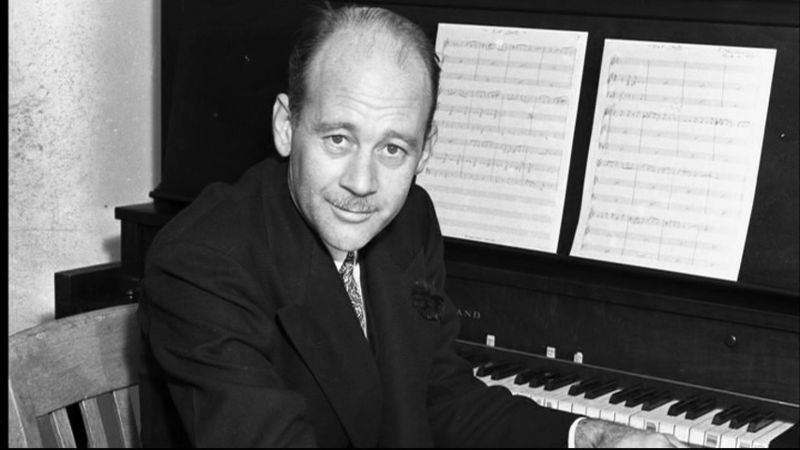 Frank Churchill (October 20, 1901 – May 14, 1942) was an American film composer who wrote most of the music for Disney’s 1937 movie Snow White and the Seven Dwarfs, including “Heigh-Ho”, “Whistle While You Work”, “Some Day My Prince Will Come,” and “I’m Wishing.” Other Disney films that he worked on include Dumbo, Bambi, and The Adventures of Ichabod and Mr. Toad. Born on October 20, 1901, at Rumford, Maine, Churchill began his career playing piano in cinemas at the age of fifteen. After dropping out of medical studies at UCLA to pursue a career in music, he became an accompanist at the Los Angeles radio station KNX (AM) in 1924. Churchill joined Disney studios in 1930 following the departure of house composer Carl Stalling, and scored many of the company’s Silly Symphonies animated shorts. His 1933 song for The Three Little Pigs, “Who’s Afraid of the Big Bad Wolf” with additional lyrics by Ann Ronell, was a huge commercial success. The song struck a chord in the midst of the Great Depression, and became the Disney company’s first hit, selling loads of sheet music and inspiring numerous recordings. Churchill’s success helped change the company’s thinking about the way music was used in its cartoons, setting them on a road where popular songs became an important part of the overall business plan. Over the next few years, Churchill continued to compose songs and instrumental music for the Silly Symphonies cartoons, and although he didn’t duplicate the success of “Who’s Afraid,” several tunes were at least recorded by outside orchestras. In 1937, Churchill was chosen to score Disney’s first full-length animated feature, Snow White and the Seven Dwarfs with lyricist Larry Morey. Disney’s stipulation was that, much like the Silly Symphonies, the songs were not simply to be showcased — they had to stem naturally from the characters, or be integrated into the story. His catchy, artfully written songs played a large part in the film’s initial success and continuing popularity. Additionally, Churchill co-composed the instrumental score with Leigh Harline and Paul J. Smith, and it earned an Oscar nomination. Because of the success of Snow White and the Seven Dwarfs, Churchill became supervisor of music at Disney, as well as helping write music for movies like The Adventures of Ichabod and Mr. Toad and Peter Pan when those two were in production. He shared with Jack Lawrence credit for the deleted song “Never Smile at a Crocodile” from Peter Pan. In 1942, Churchill moved from Peter Pan to Dumbo. He and fellow composer Oliver Wallace won an Oscar in the category “Scoring of a Musical Picture” for cowriting the score for Dumbo including the bizarre “Pink Elephants on Parade.” He also shared an Oscar nomination with Ned Washington for the song “Baby Mine” from Dumbo for Best Song. Churchill reteamed with Larry Morey for 1942’s acclaimed Bambi, which featured “Little April Shower.” Sadly, after completing work on Bambi, Frank Churchill, aged forty, committed suicide on May 14, 1942, at his ranch north of Los Angeles in Castaic, CA. He is purported to have died “at the piano” of a self-inflicted gunshot wound. Although there is some speculation that Churchill’s suicide was a result of negative discourse with Walt Disney regarding his latest scores for Bambi, it was more likely due to his deep depression and bout with heavy drinking after the deaths of two of his closest friends and fellow Disney orchestra members who had died earlier that year within a month of each other. He was buried in Glendale’s Forest Lawn Memorial Park Cemetery near Hollywood. A year later, Churchill received two posthumous Oscar nominations. The first was for cowriting the score to Bambi with Edward Plumb, and the second for cowriting the song “Love is a Song” from Bambi with lyricist Larry Morey (1905–1971). Louis Joseph Ferdinand Hérold (January 28, 1791–January 19, 1833), better known simply as Ferdinand Hérold, was a French composer of early romantic operas who stands midway between Daniel Auber and Jacques Offenbach in the development of the opéra comique, Of Alsatian descent, he also wrote many pieces for the piano, orchestra, and the ballet but is best known today for the ballet La fille mal gardée and the overture to the opera Zampa. Hérold was born in Paris, France, on January 28, 1791,the only child of François-Joseph Hérold, a pianist and composer, and Jeanne-Gabrielle Pascal. He was the grandson of Nicolas Hérold, an organist. At the age of six, he attended the Hix Institute and excelled in his studies. While there, he also took musical theory with François-Joseph Fétis, who later edited the periodical La Revue Musicale. At the age of seven, he played piano and composed some piano pieces. Hérold’s father did not intend for him to follow a musical career, but after his father’s death in 1802, he could finally pursue this avenue. He enrolled in the Conservatoire in 1806 and was schooled in piano by Louis Adam, father of the composer Adolphe Adam. He also was instructed by Charles Simon Catel in harmony, Rodolphe Kreutzer in violin, and Étienne Méhul in composition. Hérold became a virtuoso on piano and violin during his time at the Conservatoire. In 1810 he won first prize in a piano competition with one of his own compositions, which had never been done before. One of the judges remarked: “This piece is full of flaws, but I see great things ahead for him.” He progressed so far in his studies that in 1812 he won the Prix de Rome. In Rome, during the spring of 1813 he composed his first symphony, which all Prix de Rome winners were required to do in order to show their progression in studies, and also completed the last of his four piano concertos. In 1815 Herold moved from Rome to Naples for health reasons. While there he composed several pieces including his second symphony and three string quartets. His first opera, La gioventù di Enrico Quinto (The Youth of Henry V), was presented at San Carlo under the pseudonym Landriani, and it was received favorably by the public who did not favor French composers, but not by the composers of the area. He was also paid 5,000 lira to teach Joachim Murat’s daughters. After the king was executed, Hérold was forced to leave Italy and went to Austria, where he stayed in Vienna for two months under the employ of Prince Metternich. He returned to Paris via Munich and Switzerland. In 1816, Hérold collaborated with François Adrien Boieldieu in the opera Charles de France; this work put his name before the public. In the same year he composed the successful opera Les Rosières which he dedicated to his friend and former teacher Méhul. He produced twelve light operas at the Opéra-Comique between 1817 and 1830. In 1817 his opera La clochette premiered and was a vast improvement over Les rosières. After struggling to find a libretto, he composed music for Premier Venu. However, this did not have the qualities to be an opera and it met with little success. Les troqueurs (1819) also failed. Hérold’s desire to compose forced him to choose any libretto that came his way since many librettists did not trust him with their works. Therefore, his next few operas (L’amour platonique and L’auteur mort et vivant) were failures. This discouraged Hérold, so he did not produce any operas for three years. In 1821, Franz Schubert was invited to write two extra numbers for a production of Hérold’s Das Zauberglöckchen (La Clochette) at the Kärntnertor Theatre in Vienna. In 1821 Herold became an assistant at the Théâtre-Italien and traveled to Italy to recruit singers. This renewed his inspiration and his health. In 1823 he returned to the stage with the success Le muletier. His next opera, Lasthénie, was a moderate success. Hérold collaborated with Daniel Auber on Vendôme en Espagne (1823) which capitalized on the fad for Spanish atmosphere, following the French victory at Trocadero in Spain. In 1824 the Opéra-Comique commissioned Herold to write Le roi René. In the same year he became accompanist at the Théâtre Italien, and two years later became chorus-master. In 1825 he wrote Le lapin blanc which failed; Hérold himself was not inspired by its libretto to compose good music. His next opera Marie (1826) was a great success, but his duties at Théâtre Italien hindered his freedom to exploit this and further his talent, and for the next three years was reduced to writing ballet music. In 1827, he became the chief replacement at the Paris Opera. 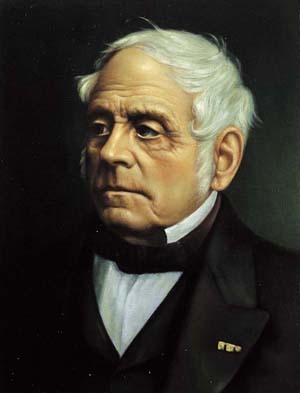 On November 3, 1828 he was awarded the Legion of Honor. His next opera L’illusion (1829) was successful while Emmeline (1830) was not. On May 3, 1831 one of his most famous operas, Zampa, premiered. This opera enjoyed much success in France and Germany where it is still occasionally staged today. He followed up his success with Zampa with contributions to La marquise de Brinvilliers, a collaborative effort of many composers including François-Adrien Boïeldieu and Daniel Auber. Herold wrote La médecine sans médecin in 1832 and Le Pré aux Clercs later in the same year. Le Pré aux Clercs is another of Hérold’s most famous works. Le Pré aux Clercs enjoyed its thousandth performance in Paris in 1871. A month after its premier, Hérold died January 19, 1833, at Thernes, of tuberculosis from which he had long suffered. Hérold’s opera Ludovic which had not been completed was finished by Fromental Halévy. Hérold was buried at Père Lachaise Cemetery in Paris. Hérold’s works retained their popularity through the 19th century. He is chiefly known in concert or brass-band repertoire for his overture to the comic opera Zampa of 1831. Among his other operas are Vendôme en Espagne (with Auber, 1823), and Le Pré aux clercs (1832; The Field of Honour). Herold is best remembered for two popular operas. “Zampa, ou La fiancee de marbre” was developed with full theatrical effects and provided a venue to demonstrate the brilliance of the tenor Chollet. “Le pre aux clercs” was Herold’s reflective and cognizant treatment of a controversial subject. His ballets include La Fille mal gardée (1828; The Unguarded Maiden) and La Belle au bois dormant (1829; The Sleeping Beauty). La fille mal gardée remains in current ballet repertoire, the score making use of excerpts from Rossini and from popular French songs. Daniel François Esprit Auber (January 29, 1782 –May 12/13, 1871) was a leading composer of French opera from the 1820s onwards. The son of a Paris print-seller, he was born in Caen in Normandy on January 29, 1782. Though his father expected him to continue in the print-selling business, he also allowed his son to learn how to play several musical instruments. 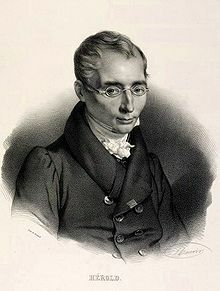 His first teacher was the Tirolean composer, Josef Alois Ladurner (1769–1851). At the age of twenty Auber was sent to London for business training, but he was obliged to leave England in 1804 when the Treaty of Amiens was breached. Auber had already attempted musical composition, and at this period produced several concertos pour basse, modelled after the violoncellist Lamare, in whose name they were published. The praise given to his concerto for the violin, which was played at the Paris Conservatoire by Mazas, encouraged him to undertake a resetting of an old comic opera, Julie (1811). He also began to study with the renowned Luigi Cherubini. In 1813 the unfavorable reception of his one-act debut opera Le Séjour militaire put an end for some years to his attempts as composer. But his failure in business, and the death of his father in 1819, compelled him once more to turn to music. He produced another opera, Le Testament et les billets-doux (1819), which was no better received than the former. But he persevered, and the next year was rewarded by the complete success of La Bergère châtelaine, an opera in three acts. This was the first in a long series of brilliant successes. In 1822 began his long association with librettist August-Eugène Scribe. Their first opera, Leicester, shows evidence of the influence of Gioachino Rossini in its musical style. Auber soon developed his own voice, however: light, vivacious, graceful, and melodious—characteristically French. Le maçon (1825) was his first major triumph, staying in the repertory until the twentieth century, with 525 performances at the Opéra-Comique alone. An ensemble from it found its way into Herold’s ballet La Somnambule (source of Bellini’s La sonnambula) as an air parlante, a way of explicating the plot through the words of a relevant operatic aria or salon piece. Auber achieved another triumph in La muette de Portici (The Dumb Girl of Portici), also known as Masaniello after its hero, dealing with a seventeenth century Neapolitan revolt,. Produced in Paris in 1828, it rapidly became a European favorite, and the foundation work of a new genre, grand opera, that was consolidated by Rossini’s Guillaume Tell the following year. Its characteristic features are a private drama staged in the context of a significant historical event in which the chorus is dramatically engaged as a representative of the people, varied and piquant musical textures, grandiloquent marches, spectacular scenic effects and a statutory ballet. The duet from La Muette, Amour sacré de la patrie (meaning “Sacred Love of the Homeland”), was welcomed as a new Marseillaise. Its performance at Brussels on August 25, 1830, in which the great tenor Adolphe Nourrit sang the leading tenor role, engendered a riot that became the signal for the Belgian Revolution that drove out the Dutch. La Muette broke ground also in its use of a ballerina in a leading role, the eponymous mute, and includes long passages of mime music. Official and other dignities testified to the public appreciation of Auber’s works. In 1829 he was elected a member of the Institut de France. Fra Diavolo,which premiered on January 28, 1830, was his most successful opera. That same year, 1830, he was named director of the court concerts. The next year, on June 20, 1831, he had another big success, with Le Philtre, starring Adolphe Nourrit. The libretto was translated into Italian and set by Donizetti as L’elisir d’amore, one of the most successful comic operas of all time. Two years later, on February 27, 1833, Gustave III, his second grand opera, also triumphed and stayed in the repertory for years. The libretto was to be used twice more, first by Saverio Mercadante for Il reggente, with the action transferred to Scotland, and, next by Giuseppe Verdi, as Un ballo in maschera. Auber enjoyed several more successes, all at the Opéra-Comique. These were Le cheval de bronze (1835), L’Ambassadrice (1836), Le domino noir (1837), Les diamants de la couronne (1841) and La part du diable (1843). In the meantime, in 1842, at the wish of King Louis Philippe, Auber succeeded Cherubini as director of the Conservatoire. Auber was also a member of the Legion of Honour from 1825, and attained the rank of commander in 1847. That year also saw the premiere of Haydée, another opéra comique, even though it was on a serious subject. The tenor lead in Haydée was sung by the same Gustave Roger who, two years later, created the title role in Giacomo Meyerbeer’s Le prophète at the Opéra. Napoleon III made Auber his Imperial Maître de Chapelle in 1857. In his later years, Auber’s output slowed down considerably. The 1850s were marked by Manon Lescaut, an opéra comique with a tragic end (1856), and revisions of Le cheval de bronze and Fra Diavolo (both 1857). In 1861, Scribe died, and Auber produced only two more operas afterward. He had one major success in the 1860s with Le premier jour de bonheur (Opéra comique, 1868). Despite his slowdown in composing, he remained a well-loved figure, known for witty sayings and personal generosity. He survived the German siege of Paris in 1870–71, but died at age 89 during the upheaval of the Paris Commune on May 12 or 13, 1871. The collaboration between Auber and Scribe produced 38 stage works between 1823 and 1864. For the next four decades, several of Auber’s operas held the stage in Paris and elsewhere. One of Auber’s most successful and still familiar works in his popular, romantic vein is Fra Diavolo (1830; Brother Devil). Others of his most popular operas are Fra Diavolo, Le cheval de bronze (The Bronze Horse), Les diamants de la couronne (The Crown Diamonds), and the seminal grand opera Masaniello or La muette de Portici (The Dumb Girl of Portici). Le Domino Noir of 1837 was the Auber/Scribe work most frequently revived in its own century, achieving 1,209 performances by 1909. Auber also wrote a considerable quantity of other music, vocal and instrumental, sacred and secular, though his religious cantatas and motets, written between 1852 and 1855, are little known. He was respected by Rossini and Wagner, and much honored by the state in his life-time. His music is also thought to have influenced Charles Gounod, Jules Massenet, and Richard Strauss. Changing times and tastes led to the neglect of Auber’s music, with the exception of some of his overtures, in particular that for Les Diamants de la couronne (The Crown Jewels). On Wednesday, June 22, 2011, Crosswalk.com’s Homeschool Update posted a June 16, 2011, article entitled “4 Ways to Respond When Your Teen Seems Ungrateful” by Mark Gregston of Heartlight Ministries. How do you respond to statements like these from your teenager? Do they upset you, or do you see these as signs of a necessary process taking place?